With the new year comes a new crop of computers that meet the arbitrary but commonly accepted age of 25 years needed to be considered “vintage.” The list below is just a sampling of newly vintage systems. Feel free to add your own in the comments section. Amstrad 464plus and 6128plus: These systems replaced the aging CPC464 and CPC 6128 lines. They featured a redesigned case and improved graphics and sound. Still, they were 8-bit systems competing in a 16-bit world, so they did not sell well. Apple Macintosh IIfx: This was the top of the Macintosh line when announced–nearly double the computing power of a Mac IIci and much better graphics. Its high price tag kept sales numbers low, however. Apple Macintosh Classic: The Classic was a modest upgrade to the Macintosh Plus in a nearly identical case. Apple Macintosh LC: The LC was meant to serve the consumer market (LC=Low Cost), and it was the first “entry level” Mac to offer color. Atari TT 030: The Atari TT 030 was the successor to the Atari ST line, and it featured a 32MHz 68030 processor, a redesigned case with an enclosed hard drive, and improved graphics. Commodore Amiga 3000: This system represents the third generation of the Amiga line. It had a 68030 CPU, 32-bit expansion slots, and partial VGA compatibility. Early 68040 Systems: Motorola introduced the 68040 processor in 1990, and the first systems based on it followed shortly. IBM PS/1: You might call the PS/1 the belated second generation of the PCjr, as both were intended for the home market. The first models were based on the 80286 CPU, which was falling out of favor in the business market by 1990. Multimedia PCs: The Multimedia PC Marketing Council released the MPC Level 1 standard specification for multimedia PCs in 1990. This ensured that CD-based software that made use of video and sound would work on all MPC systems. System vendors followed quickly with MPC-standard models. 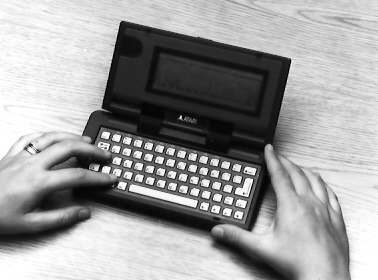 Poqet PC: Despite Atari’s claims about its Portfolio computer, the Poqet PC was the first true PC-compatible handheld computer. And just for the heck of it (and because I started this post thinking it was still 2014), here are some systems that turned 25 last year. NOTE: The following systems were introduced in 1989. Acorn Archimedes A3000: This is the second generation of the Archimedes line, which was the first RISC-based home computer. The A3000 was a worthy competitor to the Apple Macintosh and the Commodore Amiga in terms of computing power, but did not match them in terms of software support. Apple Macintosh SE/30: Apple upgraded the Mac SE in early 1989 with a 68030 processor to create the SE/30, which proved to be one of the more popular Macs ever. Apple Macintosh IIcx and Macintosh IIci: The Mac IIcx was a smaller, quieter successor to the Mac IIx. 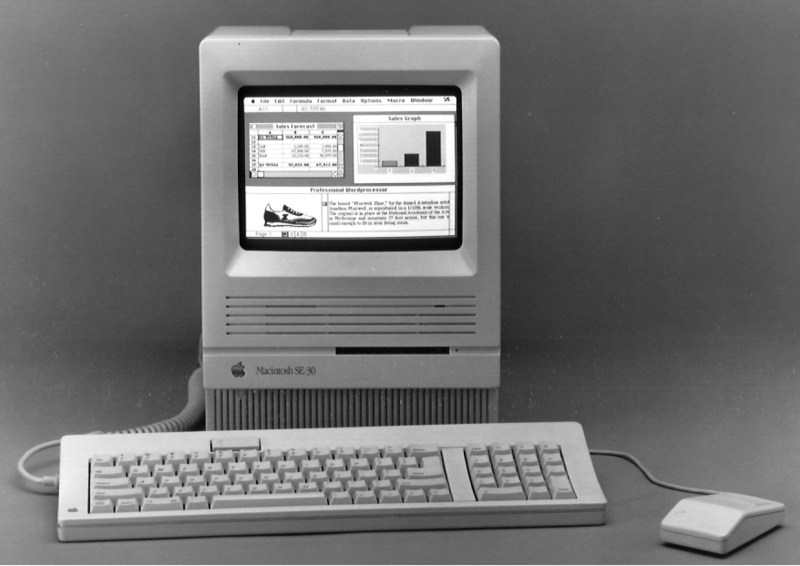 The Mac IIci replaced the IIcx later in 1989 and offered a significant performance boost but with a much higher pricetag. Apple Macintosh Portable: Apple’s first portable computer. Weighed down by its lead-acid battery, the Mac Portable had its critics but was the first of what would be a very successful line of Macintosh portables. Atari 520STe and 1040STe: Successors to the 520ST and 1040ST, with enhanced graphics as the main improvement. Atari Stacy: The Stacy was a laptop computer based on Atari’s TOS operating system. It could run on standard C-size alkaline batteries. Commodore Amiga 2500: The Amiga 2500 was an Amiga 2000 with either a 68020 or 68030 accelerator card. Compaq SystemPro Server: An early, perhaps the first, true PC-based network server, the SystemPro established the standard for its class. It’s an under-appreciated system. Digital Equipment Corp. DECstation 3100 and DECsystem 3100: Not to be confused with the original DECstation word processing systems, the DECstation 3100 was a RISC-based workstation that used the MIPS architecture and ran UNIX very fast. The DECsystem 3100 was the multi-user version of the DECstation 3100. Fujitsu FM Towns Series: The FM Towns is essentially a PC optimized for graphics and sound. It was a popular game platform in Japan and elsewhere, and is a sought-after system even today. IBM PS/2 Model 55SX and Model P70 386: IBM introduced many PS/2 models in the 1980s and 1990s. These are the two most signicant launches for the line in 1989. Miles Gordon Technology (MGT) Sam Coupe: The Sam Coupe was a bit of an anachronism–one of the last 8-bit, Z80-based home systems made. Sharp X68000 Expert and X68000 Pro: Sharp sold the X68000 line only in Japan, but it is a very interesting computer. It’s based on the Motorola 68000 processor and uses a proprietary operating system called Human68K. The Expert and Pro models offered increased memory, storage, and expansion. Tandy 1000 SL Series: Tandy had an alphabet soup group of model designations for its popular Tandy 1000 line. The 1000 SL was an update of the 1000 SX and featured improved video and sound. 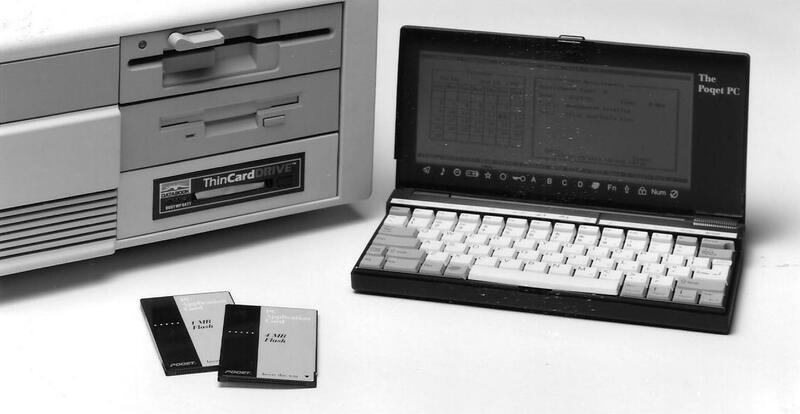 Tandy 1100 Series Notebook: Offered in floppy and hard drive versions, the Tandy 1100 was a no-nonsense, practical, and popular portable system. What happened to Leading Edge Computer and M. Shane? Leading Edge was acquired by Daewoo and eventually disappeared as a brand in the 1990s. No idea what Mike Shane is up to these days.